VietPress USA (June 13, 2018): GMA (Good Morning America) today reported that Michael Cohen, President Donald Trump’s longtime confidant and former personal attorney, who is under federal investigation with no legal representation, is now likely agrees to cooperate with federal prosecutors in Manhattan and this will likely hit the White House, family members, staffers and counsels hard. Stephen Ryan and Todd Harrison of the Washington and McDermott, Will & Emery LLP, of New York so far had been represented Michael Cohen, but a source has disclosed to ABC News that they are not expected to represent him any more. Source told that the federal agents were hunting for records tied to Cohen’s personal business dealings and secret deals with Trump's alleged mistresses, media organizations and the 2016 presidential campaign. Michael Cohen, President Donald Trump’s longtime confidant and former personal attorney, is likely to cooperate with federal investigators, as his lawyers are expected to leave the case, sources said. To date, Cohen has been represented by Stephen Ryan and Todd Harrison of the Washington and New York firm, McDermott, Will & Emery LLP, but a source representing this matter has disclosed to ABC News that they are not expected to represent him going forward. No replacement counsel has been identified as of this time. Two sources who are familiar with a warrant in the case told ABC News in April that federal agents were hunting for records tied to Cohen’s personal business dealings and secret deals with Trump's alleged mistresses, media organizations and the 2016 presidential campaign. “These government tactics are also wrong because Mr. Cohen has cooperated completely with all government entities,” Stephen Ryan said. 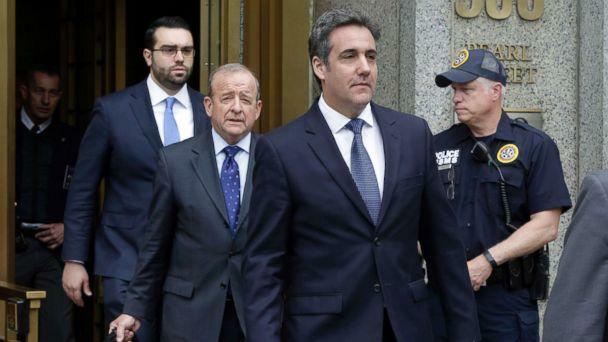 Cohen then went to federal court in Manhattan arguing that his attorneys should be given a first look at the materials seized in the raids for items potentially covered by attorney-client privilege before federal prosecutors could examine the haul. Judge Wood subsequently appointed former federal judge Barbara Jones to act as a “special master” to conduct an impartial review of the materials and to referee any disputes between Cohen and the government. Trump and the Trump Organization intervened in the case and were also granted access to review the materials for potentially privileged items. Jones reported last week that of the first 300,000 items reviewed, she had determined that just 162 of them were covered by attorney-client privilege. She rejected three items that Cohen, Trump or the Trump organization had designated as privileged. 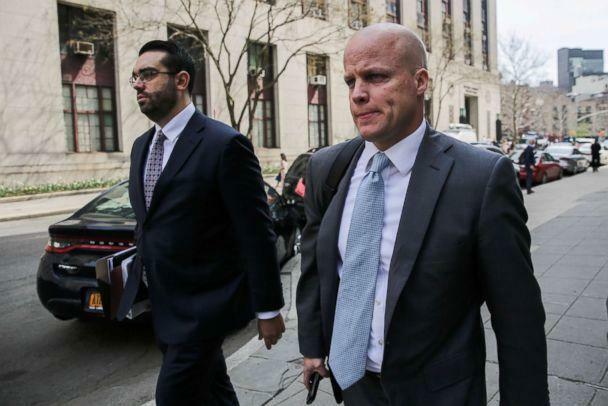 Judge Wood has given Cohen’s attorneys until Friday to complete the review of the remaining documents. Any remaining items to be reviewed would be turned over to a team of federal prosecutors unconnected to the case to complete the examination of the documents. ABC News' James Hill, John Santucci, Katherine Faulders and Kyra Phillips contributed to this report.